Established in 1876, Pukekura Park is Taranaki’s premier botanical garden. Much treasured by locals and adored by visitors, the 52 hectares of exquisiteness is located right in the CBD of New Plymouth, a quick 30 minute drive from Stratford. 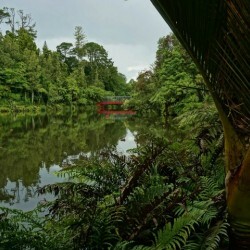 Pukekura Park is an attraction that offers something special for everybody. Take a journey through spectacular bush walks full of New Zealand natives and exotic plants including rhododendrons and azaleas. Sprinkled through Pukekura Park are alluring formal gardens. Perfect spots to wander, spread a picnic blanket and take in the gorgeous surroundings and inviting smells of the gardens. A fernery houses year round displays of ferns and vibrant indoor plants. Orchids blossom throughout the year and in summer begonias and fuchsias flourish. For the bird enthusiast you’ll be treated to sightings and sounds from tui, kereru (New Zealand Wood pigeon), sparrows, starlings, blackbirds, thrush, wax eyes, ducks, and shags. For a family with young children, Pukekura Park is a dream day out. The main walkways are pushchair friendly, and scattered through the park you’ll find three playgrounds. Children and adults alike will get a thrill from the beautiful fountains and waterfalls as they get lost in the variety of scenes and adventures to be had. Stop at the main lake for a bite to eat, and a coffee or ice cream at the Tea House, and enjoy a row on the lake in the row boats. For visitors who are less mobile, a six seat golf buggy with a guided tour is available, as well as guided walking tours. Continue navigating through Pukekura Park and you will find Brooklands Park. In 1934 Brooklands was given to the people of New Plymouth and became part of Pukekura Park . The vast stage of the Bowl of Brooklands is a natural amphitheatre positioned at the edge of a lake and the outstanding venue for our international performers, and the setting for the world famous WOMAD three day music festival. Another Brooklands Park must see attractions is Brooklands Zoo. You will meet a variety of species including bolivian squirrel monkeys, capuchins, cotton-top tamarins, meerkats, reptiles and amphibians as well as a range of friendly farmyard animals. In the walk-through free-flight aviary you’ll enjoy the selection of bright birds. If you’re visiting Taranaki during the summer season (mid December - late January), the TSB Festival of the Lights is not to be missed. Pukekura Park is brought to life at night time with extravagant lights and live entertainment - a magical adventure for all. A variety of daytime and nighttime events run during this time that cater to people of all ages. 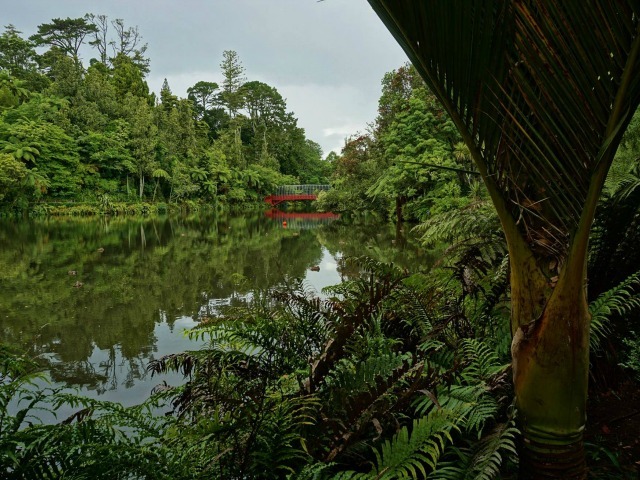 Pukekura Park is one attraction you could come back to each day of the week, to explore the wonder and charm this little gem has to offer. the park. All parking in the car parks is free. The main gates and carpark at Fillis Street are open daily from 7.30am - 7.00pm and until 8pm during daylight savings. The fernery and display houses are open daily from 8.30am - 4pm except Christmas day. The Tea House next to the lake is open from 9am - 4pm in winter and until 10pm during the summer. No, Brooklands Zoo is free to visit. It is open from 9am - 5pm seven days a week excluding Christmas Day. No, although walking shoes are recommended. If you are going for a stroll around the gardens and a visit to the Tea house, a pair of jandals will do the trick. Depending on how much time you have to spare. You could spend an hour in one spot in particular, or spend the day visiting many of Pukekura Parks attractions.